Just ate lunch in Edmond, OK after spending some time at the office. It’s time to hit the road now. Destination is toward the OK/KS border near I35, but unclear beyond that. A nearly stationary front will be sitting over south Kansas and could be the focus point for a few severe thunderstorms later this afternoon and evening. This is supported by the HRRR model as well as our own “HazWRF3” model. 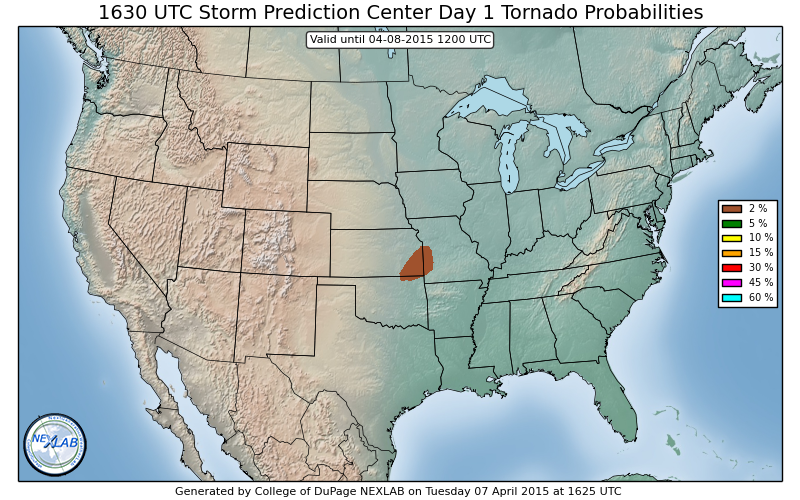 Tomorrow remains a day with significant severe weather potential. Plan is to stay the night in Wichita, KS and be ready to go tomorrow. ← My Nikon D610 Has Arrived!